The iCloud service offers an easy way to back up iPhone contents, including messages, contacts, photos, mails and more. However, some people complained that they baked up their iOS device in iCloud but don't know how to check last iCloud backup. Some also want to know if they have a backup of their iPhone/iPad/iPod in iCloud. This article will introduce you 3 easy methods to view iCloud backups on computer and iPhone effortlessly. Speaking of how to access iPhone backup files in iCloud, the easiest way is from your computer via any web browser. 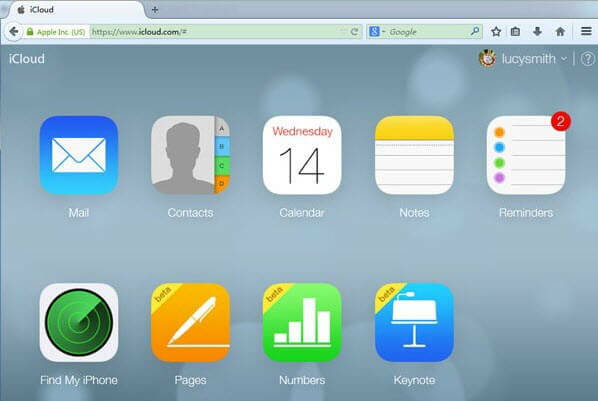 Open web browser and go to iCloud website. Note: You cannot check all of the file types online, such as Kik message, Whatsapp messages and attachments, Viber photos and videos. Tap Manage Storage and select your device. Now you can view when your device was last backed up and the backup file size. Besides viewing the backup time and size, some people also want to extract files from their latest backup, but the methods above seem not that convenient here. Try Any iOS Data Recovery, professional iOS backup managing software, allows checking and selectively exporting data from iCloud backup to Mac and Windows PC with only simple clicks. 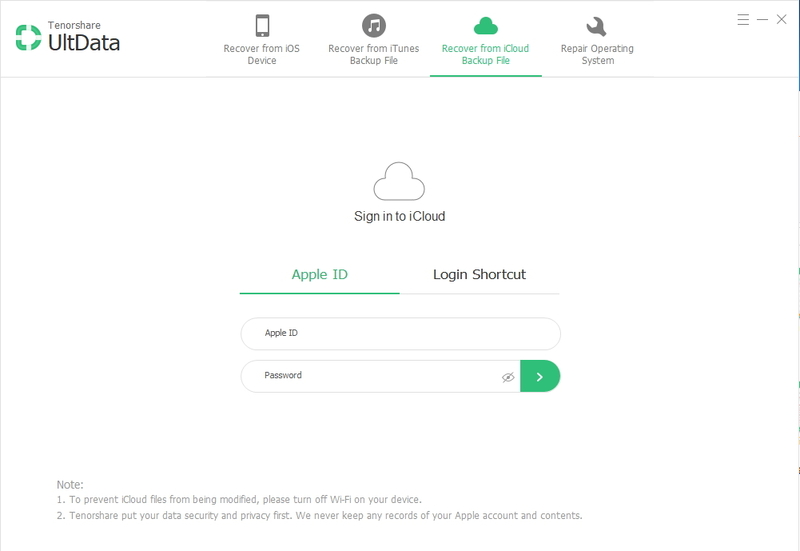 Download and install the program on your computer, run the software and switch to "Recover from iCloud Backup Files", tape Apple ID and password to log in your iCloud account. After entering into iCloud, all the backups will be listed automatically. You can check the most recent iCloud backup from computer clearly. Select it and click "Next" to download. When the backup is downloaded successfully, the program will scan all of the files within it. Choose those you want and click "Recover" to save them in your computer. Comparing the 3 methods above, UltData really can be the best choice to check the latest iCloud backup, isn't it? This amazing tool is also able to back up iPhone data to computer or iTunes. Why not download and have a try now?